The 44-year-old is struggling with legal issues, complicated by a reported drug and alcohol problem. 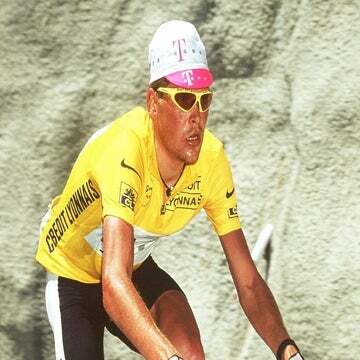 BERLIN (AFP) — Germany’s Tour de France champion Jan Ullrich was admitted to a psychiatric hospital on Friday after his brief detention for allegedly assaulting a prostitute. The 44-year-old retired cycling star was released on bail Friday pending an investigation for possible attempted manslaughter. “Jan Ullrich was admitted to a psychiatric hospital on Friday night, where his state of health is being assessed by specialists,” a Frankfurt police spokesperson told AFP. “Due to his mental and physical state, there was no other choice” but to transport him to a psychiatric unit by ambulance, the spokesperson said. Friday’s incidents arose after the 1997 Tour de France champion had called on the services of a prostitute at the five-star Villa Kennedy Hotel in Frankfurt, according to the German newspaper Bild. Ullrich’s run-in with the law came just a week after his 24-hour detention in Spain, where he had sought to force his way into the Mallorca home of his neighbor, German actor Til Schweiger, and threatened him. Ullrich’s latest woes came just hours after he arrived back in Germany to seek therapy for his alcohol and drug habit following last week’s scandal in Mallorca. The retired cyclist’s dramatic fall from grace came two decades after he became the only German to have won the Tour de France, in 1997. Born in the former communist East Germany, Ullrich racked up his triumphs after Germany’s reunification, which made him a national hero. He later won Olympic gold in Sydney in 2000, but he failed to replicate his victory at the Tour, finishing for several years behind Lance Armstrong. Like Armstrong, who was subsequently stripped of his seven Tour de France wins because of doping, Ullrich was embroiled in allegations that he used performance-boosting substances. The German was excluded from the 2006 Tour de France over his links to the Operation Puerto scandal that centered around disgraced doctor Eufemiano Fuentes, who gave performance-enhancing blood transfusions to top cyclists. After retiring from cycling in 2007, Ullrich finally came clean in 2013 about his doping past. Since then, he has struggled with drinking problems. In 2014, Ullrich injured two people in a car crash in Switzerland, and was charged with drunk driving. He was convicted three years later in the case by a Swiss court. He was able to convert his sentence of 21 months in prison into a suspended sentence of four years plus a fine of 10,000 euros ($11,460). His addiction led to his separation from his wife Sara at the end of 2017, media reported, noting that she has since moved with their three sons to the Allgäu region of southern Germany. Ullrich has a 15-year-old daughter from a previous relationship, with Gaby Weiss. Going into rehab had been a condition for him to be able to see his children again, Ullrich has said. Amid his latest woes, his former rival turned friend Armstrong offered his support earlier this week, according to Bild. Ullrich’s lawyer Wolfgang Hoppe told the newspaper that Armstrong said he was “ready to immediately get into a plane with his doctor and come to Europe” to help the German. Armstrong “said that the cycling community must hold together. But that what’s most important is that Jan first allows himself to be helped,” said Hoppe, recounting a telephone conversation he had with Armstrong.